Have you ever rated school or schools you went all your life for study? Did you ever realize how did it impact your career growth? Did it polish your behavior or make it worse? Whatever we do at our workspace or home; we bring it from school. Schools put long lasting impact on our future; it can make it or, break it. 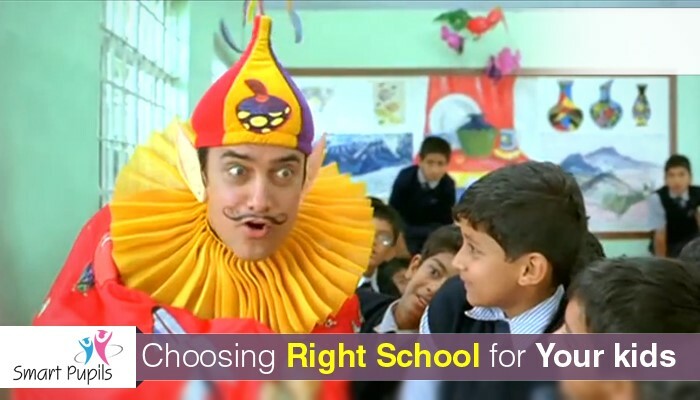 Choosing school wisely is as important as choosing best doctor for a treatment. There are seven things you must consider before choosing a school for your Kids. No one would like to study without love and care in very young age. As an average children spend first three to five years after their birth at home surrounded by immense love, care and affection from parents and grandparents. When they are getting into school, they expect same love and care from their teachers. Good teachers don’t only create relationships with their students but with their parents too. No child will be able to study without loving and caring relationship with his/her teacher. Schools believing in building relationship with children have higher ratings. Don’t you choose a rude school for your Kids. Schools should consider children as their valued customers and give them whatever they want as Zappos (Famous Online Shoe Retailer) give to their customers. Children love to listen to stories and cartoons more carefully, than someone standing before them and telling them. Teachers have to promise not to make our kids feel annoyed in 2016 by reading stories from books. You can no longer enhance capabilities of students without animated stories on smart screens. Interactive rhymes put larger impact; our kids are living in the edge of IPad and Samsung Galaxy, Aren’t they? Provide them learning content on their gadgets so that they would use them productively. Here is the most important part for you Kids growth. You know what!! Schools with low number of CCA produce lazy, shy and inactive students. It is more likely that students who have been involved in CCA all their schooling life, will end up having healthy life and outstanding achievements. Luckily, we are living in a time of Model United Nations (MUN), which is an educational competition where students can learn about diplomacy, international relations, and the United Nations. Check if your child’s school has its MUN Chapter before inducting him/her into that school. MUN will definitely enhance your kids’ intelligence, interpersonal skills and confidence. No matter how old are your children they must be tilted towards internet life. They might be using facebook or Whatsapp or Youtube for chuchutv. My 18 months baby loves watching Chuchu Tv on my ipad and, she remembers more Rhymes than any child in conventional schools. Think when I have my baby inducted into a school which is not online; how my baby would learn? She loves copying the sound and gesture she watches on that YouTube channel. Schools who are using online interactive techniques are going so successful. In 2016, Schools without technology are like slaughter house for future of our kids. Technology helps your kids feel special and awesome at times. Big schools have their own IT departments who look after their Websites, students, teachers and parents portals and also their android application. They spend millions of dollars for a thing which can be handled more effectively if outsourced. Medium and smaller schools in Metropolitan city outsource it and, save a lot of money. Yes!! They are smarter. So we have moved to an information edge, haven’t we? Mobile Phones, Android apps, Internet, Television and what not!! Technology has changed our needs from industrialization to the information and connectivity. Schools need to connect with their all stake holders include Teachers, Parents & Students. How effectively they connect with all of them depends on what technology and how much technology they are using. Good schools provide SMS alerts or even Parents, students and teachers dedicated online portal to access information related to them. These solutions are available in extremely cheaper prices and every school can avail it. Yes!! World is getting riskier and dangerous for our kids day by day. We as parents are extremely concerned when our Kids are out to schools. Schools with high security measures are important for our kids. But you being a parent need to know more, don’t you? What time your kids enter into school? and what time they leave it? What class they are in? and what class they are out? Good schools provide this information to parents on real time. It is being sent through SMS or Android alerts.. all on your fingers. Good schools provide you a sense of security and mental peace. Schools using Smart Pupils are getting all these features in one window on extremely cheapest rates.